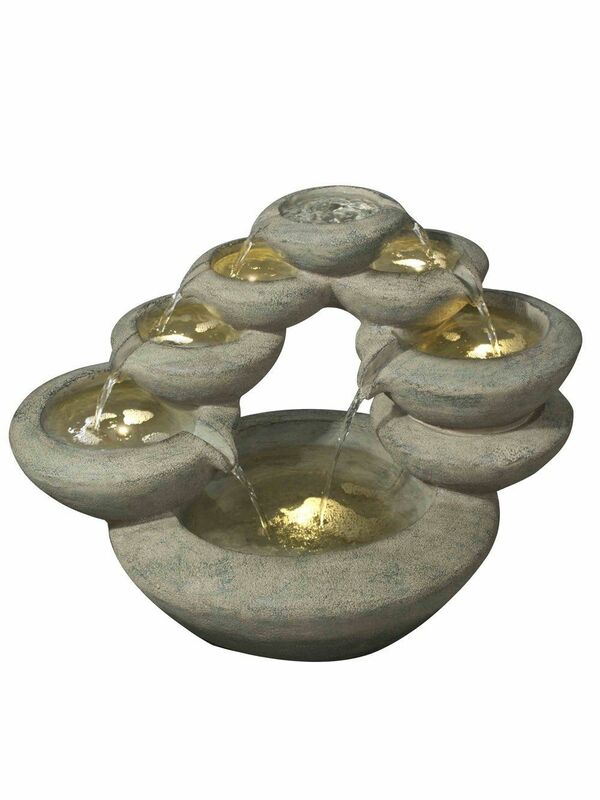 A realistic self-contained water feature, with the natural look of stone in contemporary style. Impressive detailing of this feature is kept to a manageable weight due to the high quality resin used in its construction. One cluster yellow LED light illuminates the water as it bubbles from the centre of the feature.